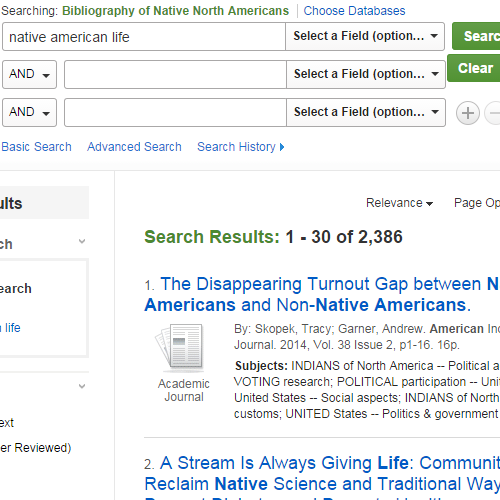 A bibliographic database covering all aspects of native North American culture, history, and life. This resource covers a wide range of topics including archaeology, multicultural relations, gaming, governance, legend, and literacy. 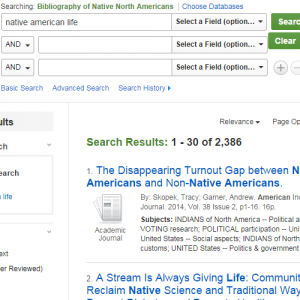 BNNA contains more than 141,000 citations for books, essays, journal articles, and government documents of the United States and Canada. Dates of coverage for included content range from the sixteenth century to the present.